For a Solo Mom looking for a new career, military life might seem attractive. The military offers a chance to serve your country, training in valuable skills, opportunities to advance, and good pay and benefits, to name just a few of the pluses. However, there is one huge barrier that will keep many Solo Moms from enlisting. The 15 years of protracted combat since 9/11 have put an immense strain on our military. In particular, the negative effects of extended and multiple deployments on soldiers and their families became evident. The fallout from issues related to child care caused the military to require family care plans for all soldiers who are single parents. A family care plan describes how a soldier’s dependents will be cared for while the soldier is deployed. Family care plans apply to those who are already deployed. But what if you are a Solo Mom who is thinking about joining the military? With the exception of the Army National Guard, which allows you to enlist if you receive a waiver from your state’s attorney general, none of the armed forces will accept single soldiers. What does this mean for the Solo Mom, and are there any exceptions? The bottom line is that to enlist today, you would need to formally relinquish custody of your children. Before 9/11, many single parents worked with recruiters to try to circumvent the system by temporarily giving up custody during initial training and then regaining it after entry into the service. The military now has many ways of ensuring that does not happen, imposing stiff penalties, including discharge, on single soldiers who attempt to do so. There are obvious exceptions, such as the death or illness of the custodian, in which case the Solo Mom may regain custody until other arrangements can be made. And if a Solo Mom marries while enlisted, she can regain custody of her kids and remain in the military. Those unfamiliar with the military may find it difficult to understand why such a requirement is in place. Here’s why: In the military, the mission comes first, and making exceptions for single parents during travel, deployments, and extended duty hours would interfere with the military’s ability to accomplish the mission. Therefore, the military requires Solo Moms to abdicate primary physical custody to an ex-spouse, grandparent, or another adult defined by court order. Each active-duty branch has different stipulations for Solo Moms who are interested in enlisting, but all assume you have transferred or are willing to transfer custody of your children. If you are interested in joining the Marines, you must first get a court order showing that you’ve relinquished custody and then wait one year before you are eligible to enlist. The Navy requires a waiting period of six months after the court order, and it must show the custody transfer is permanent. The Army and Air Force require you to certify that it is not your intention to attempt to regain custody once you’ve completed your initial training. In addition, you must sign a statement indicating that if you do attempt to regain custody, you will be in violation and could be subject to fraud or discharge. If you do transfer physical custody of your children to another adult or adults, such as your ex-spouse or your parents, it is important to understand that as long as you remain in the service, you cannot regain custody of your children unless you remarry. For many Solo Moms, this obviously will be a deal breaker. For others, such as those who have great support networks and positive relationships with their ex-spouses, as well as a strong calling to serve, perhaps relinquishment is entirely feasible. If you do decide to join the armed services as a Solo Mom, you will not be alone. According to the Military Families Learning Network, there are approximately 73,000 active-duty single parents, or more than 5% of the overall active-duty military population. If you are a Solo Mom considering a career in the military, don’t kid yourself. It is not an easy paycheck or a quick path to a comfortable retirement. It would require you to immediately abdicate custody of your children, followed by years of long hours and extended deployments with lengthy absences from home. You must ask yourself, the military’s policies withstanding, if a career in the military is worth the inevitable cost to you and your children. 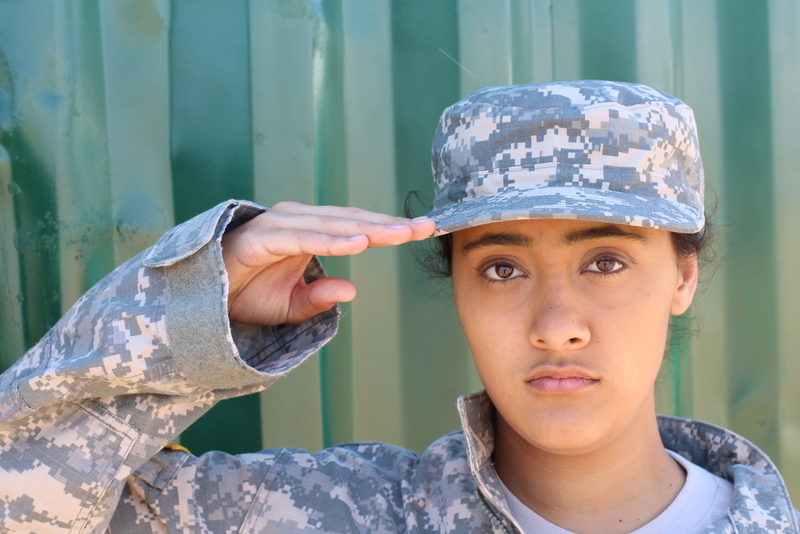 For more insight on this topic, read “Mothers in the Military: Punishing Mothers Who Serve,” a blog post by Jessica Scott on PBS’s Regarding War blog. Are you or have you been a Solo Mom in the military? We’d love to hear about your experience!